The German sprinter John Degenkolb (Team Argos Shimano) made it past a crash on the next to last turn to win stage 5 in Matera which saw a deluge earlier in the day with water running through the streets like rivers. Second was Angel Vicioso (Katusha), and third, another German rider, Paul Martens (Blanco Pro Cycling). 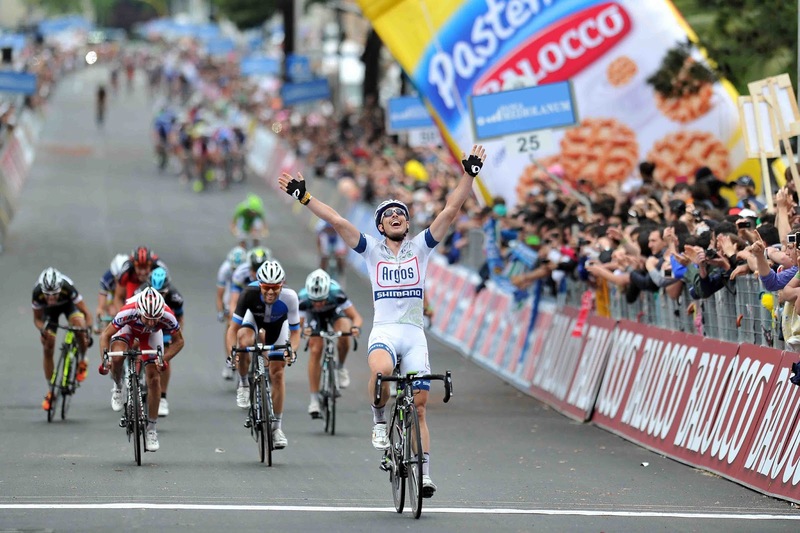 Luca Paolini (Katusha) finished safely and defended his Maglia Rosa. After the stage, Degenkolb spoke to the press about the crash: "I was just behind the crash. It was pretty slippery and wet. They went a bit too fast into the second-last corner, and luckily there was a small gap behind them, so that I could still brake and get around the crash. I was out of my pedals, so I put my feet back in the pedals and accelerated. 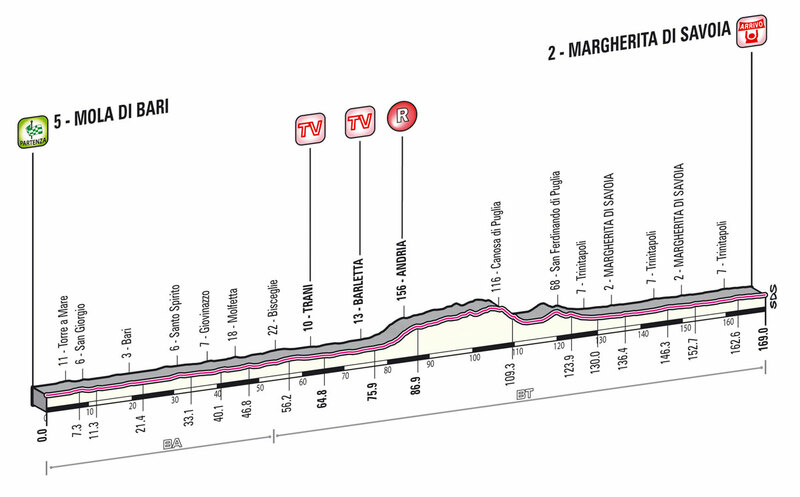 The Bardiani rider (Marco Canola) made the corner and was first to get away. I looked around and realized it was everything or nothing. I knew I had to give it everything. My sprint lasted 1km. It was really hard, I really suffered, and my lactate must have been at 35 in the end!" Luca Paolini (Katusha), Maglia Rosa, about the crash: "I was well positioned with a teammate [Angel Vicioso, 2nd today] who wanted to sprint. I was there to help him and get a good placing myself. Logically, the riders who wanted to get round the corner first took a few risks. I saw the fall, and luckily, I landed on my feet." 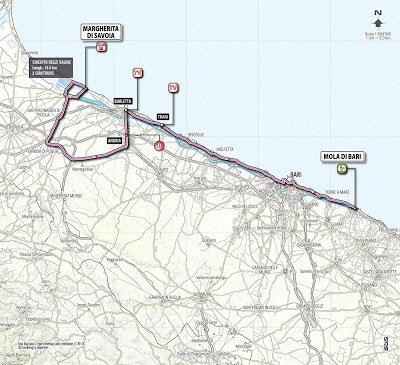 Tomorrow: 169 km, Mola di Bari to Margherita di Savoia, mostly along the Adriatic coast as the Giro begins to head north. 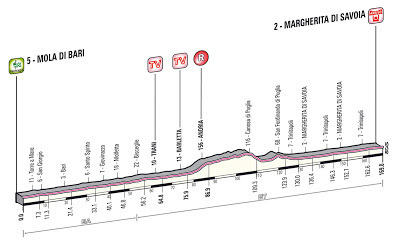 Favorites for this stage: Cavendish, Degenkolb, Goss, Ferrari, Bennati, Modolo, Viviani and Bouhanni. 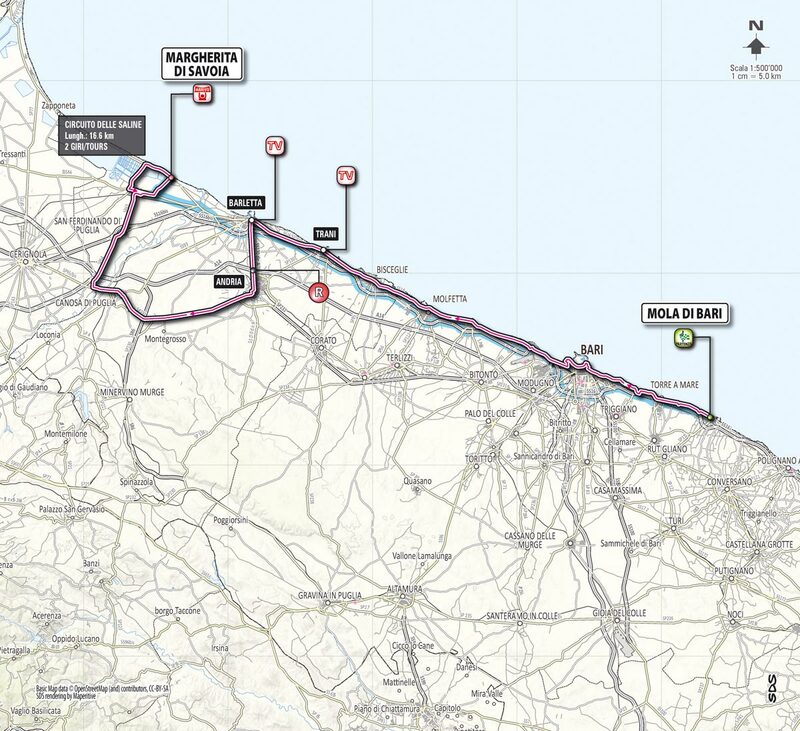 I really hope that Uran mounts a challenge to Wiggins in this Giro from within the Sky ranks like Wiggins said he would do to Froome in the forthcoming Tour. 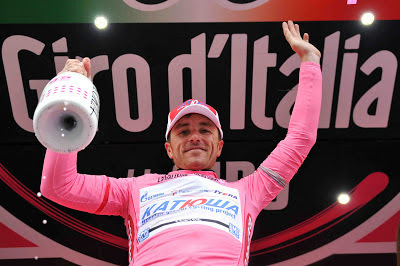 Kind of like Roche did to Visentini all those years ago. Come on Rigoberto!